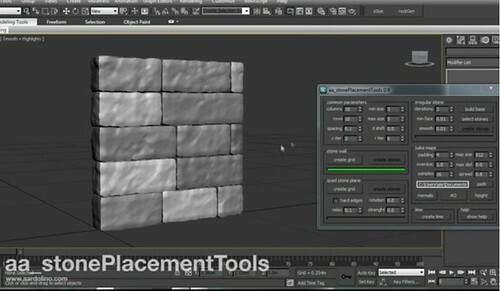 Stone Placement Tools 1.0 is a MAXScript for 3dsmax that allows you to create procedual meshes on the fly. 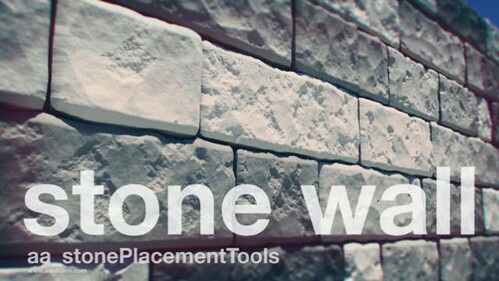 With Stone Placement Tools you can create 3D stone walls, paving stone and irregular patterns of stone walls and floors. This script creates walls of stone, paving stone patio and stone irregular patterns for different applications. El script ya está disponible para descarga! puede ser utilizado tanto para fines personales y comerciales. The next video show all the features of this wonderfull 3dsmax script in action.